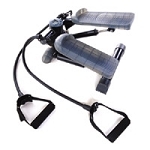 Discontinued Sorry, the manufacturer is out of business See More Great Exercise Equipment! While you target specific muscle groups, your abs, buttocks and back are constantly engaged to keep you balanced and stable. 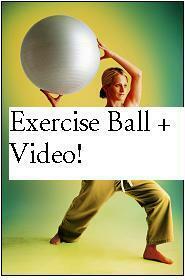 Workout video with ab exercises included. This is a medium-size ball with a 24 inch diameter.